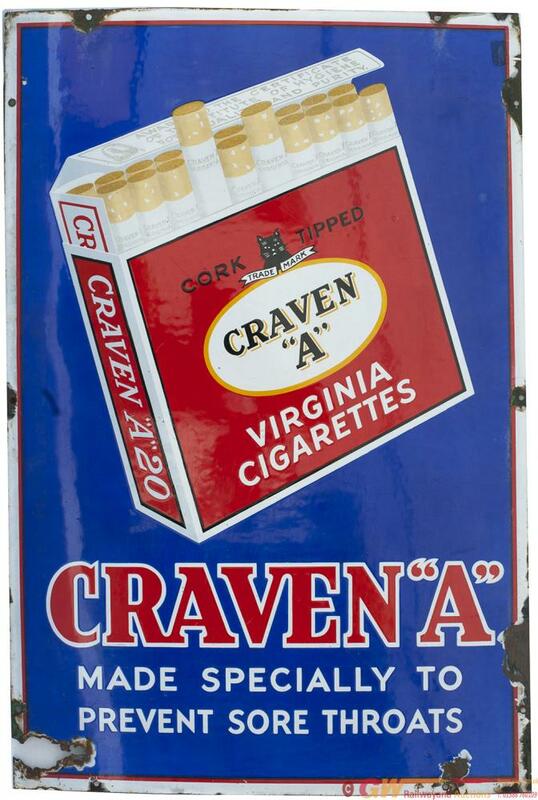 Advertising enamel sign CRAVEN A VIRGINIA CIGARETTES MADE SPECIALLY TO PREVENT SORE THROATS. Good colour and shine with minor loss and a few small chips. Measures 36in x 24in.